Inventory We are a resale marketplace, not a box office or venue. Ticket prices may exceed face value. This site is not owned by Orpheum Theater Minneapolis . The Historic Orpheum Theatre is a theater in downtown Minneapolis, Minnesota. 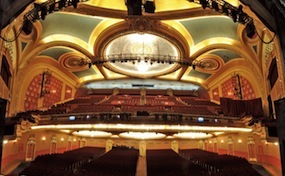 It is one of four restored theaters on Hennepin Avenue, along with the Pantages Theatre, the State Theatre and the Shubert Theatre. The building opened on October 16, 1921, originally named the Hennepin Theater. The theater actually consists of two separate structures: a long, fingerlike lobby that extends back from a narrow facade along Hennepin Avenue, and the auditorium, which is set back and parallels Hawthorne Avenue. The restored lobby includes six terra cotta bas relief sculptures. The auditorium is intricately plastered, with a number of garlands, swags, medallions, and other decorations. The ceiling has a dome with 30,000 squares of aluminum leaf. TheatereMinneapolis.com is not a primary vendor, supplier, or affiliated with any official website. We are independently owned and operated concentrating in all online sales in the secondary market. Ticket prices may be well below or above face value and will fluctuate with demand. To purchase tickets for all Orpheum Theatre Minneapolis Events simply click on the show of interest or call our operators at anytime.